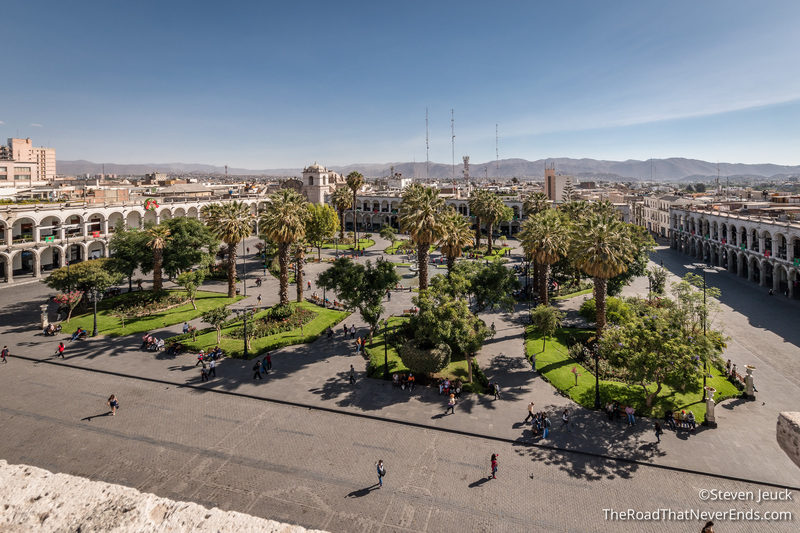 Arequipa is the second largest city in Perú, with almost 1 million residents. Steven had put this on our list because we wanted to take photos of the beautiful architecture. We only spent a full day here in between bus rides, but appreciated the big small city feel, and really enjoyed being at a lower altitude. From the city you can see the three major volcanos surrounding it: El Misti, Chachani and Picchu Picchu. We stayed at Hostel Villa Melgar, just a close 10-minute walk to the main plaza. Wifi, and breakfast was great. The only downside was the water didn’t really get… hot. The hostel was very accommodating for us. On our last morning we had to leave around 6:30, and breakfast wasn’t till 7:30, so they had someone make us breakfast an hour early, as well as arrange a taxi for us. We left Puno on the 3PM bus, with Cruz Del Sur. We had such a great experience with them the previous bus ride, so we went with them again. We bought the $22 VIP seats as well. What was promised as a 6 hour ride, turned into a 7.5 hour ride. The ride itself was winding, and uncomfortable road conditions. When we arrived in Arequipa, and had 4 miles to go on GPS, the driver made a wrong turn into the airport, and spent 15 minutes attempting to reverse on a busy road. The airport police came, and gave him an alternative exit. Shortly after the airport debacle, he made another wrong turn, and had to do a 5 point turn (or as Steve calls it, pulling an Austin Powers). Just when you think, okay… c’mon dude, you have 4 miles to go, you got lost twice, you got this right? He got lost again… and again. The last 4 miles took us over an hour. The entire bus was laughing, and then the laughter quickly turned to anger. 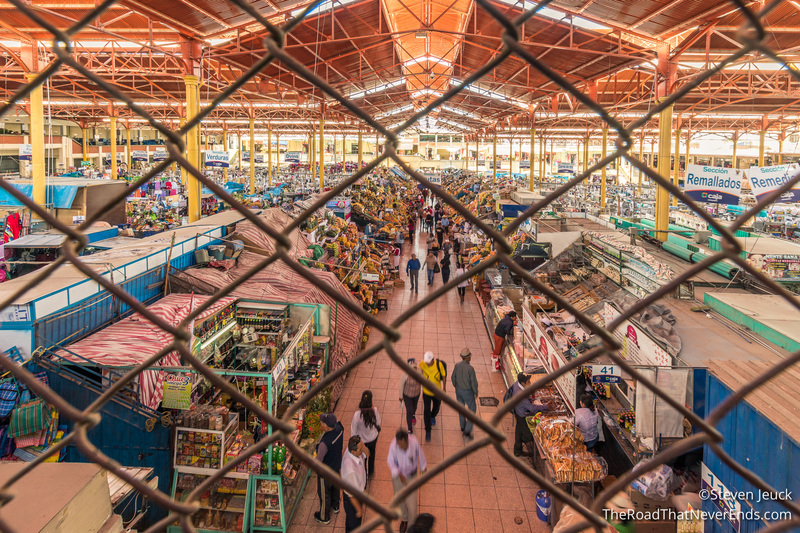 When we arrived in the bus terminal the mob settled down and dispersed, but not without a few jabs “were you taking us to Bolivia?” and “your first job?”. From the bus terminal, we took a taxi to the hostel. The taxi ride was S/10. Taxis are everywhere. The city has busses, but they are privately owned, and we weren’t sure how they operated as little information is provided. 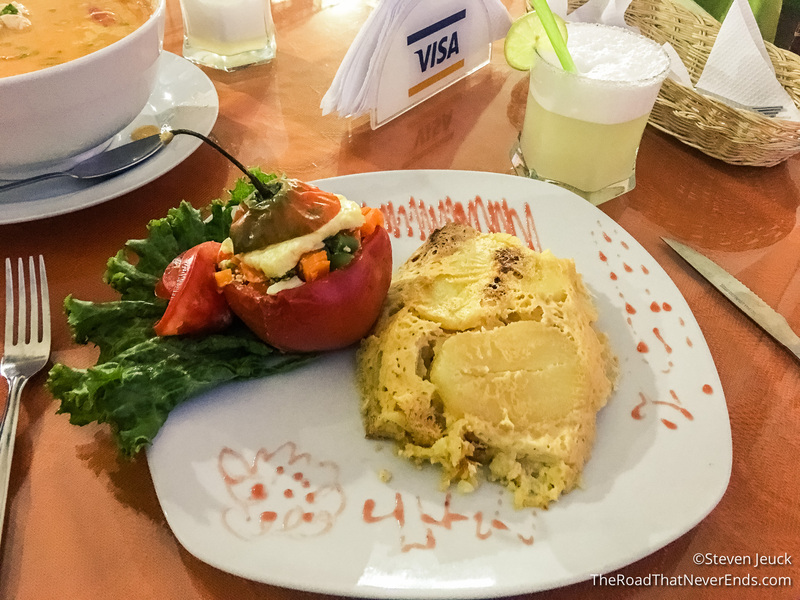 We did do one traditional Arequipian meal – stuffed peppers and shrimp soup. I ordered the stuffed peppers, and asked to make it mild. The meal was so spicy, I was crying with minutes. 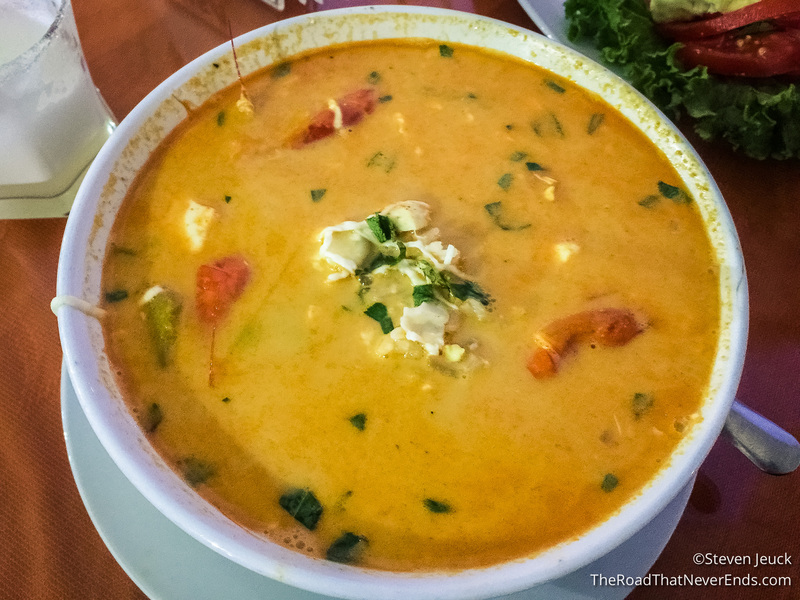 Steve ordered the Chupe de Camerones (shrimp soup), and it was creamy delicious. 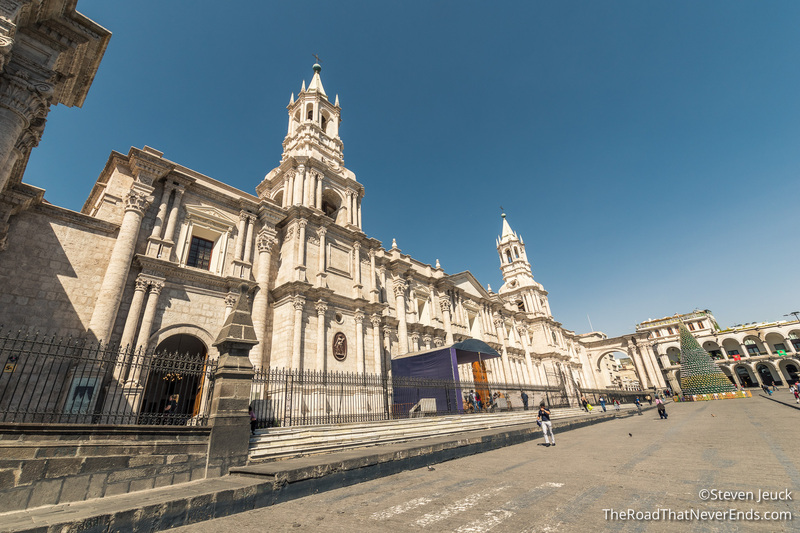 Since we only had one day in Arequipa, we decided to try a free walking tour. This was our first free walking tour we have done on our trip, and really had no expectations. 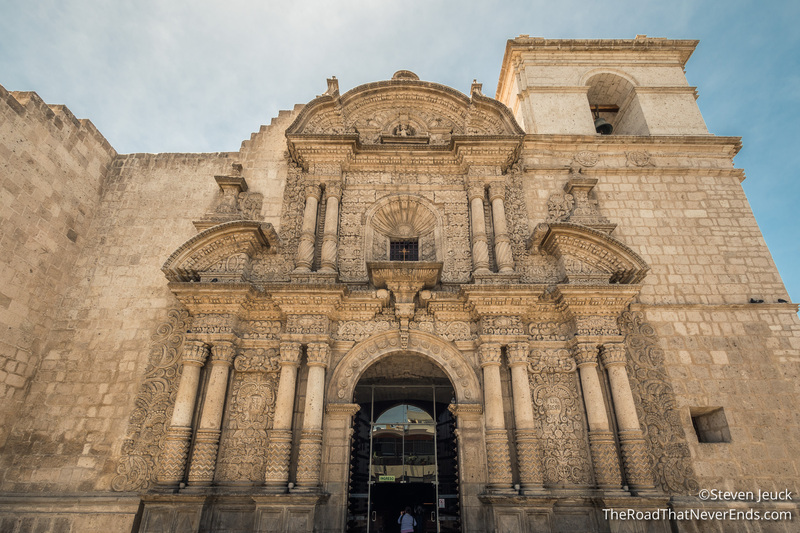 Our tour guide, Carol, gave us a brief history of Arequipa, walked us to the main plaza, the city museum, the city’s market, a church, and finished with pisco sour tasting. We were excited to see our friends from a Puno tour, John and Laura, there as well. John & Laura are traveling South America from England! They are such a fun couple; we really hope to see them again (hint hint… maybe SE Asia!?). Laura and John each have a blog – check it out! Plaza de Armas – The main square of the historic town, it is full of green grass, a fountain, benches, and surrounded by restaurants, shops and churches. We especially enjoyed people watching here. At one point a dog was running in circles chasing birds. You would think we would bore of this quickly, but spent 30 minutes watching the dog – it was fantastic. Mercado San Camillo – It is here that you can buy anything you may need: clothes, fruits, electronics, herbs, etc. One of things we saw at some booths were Llama fetus. The Inca traditions included human sacrifice, when the Spanish conquest happened, it went from human sacrifice to animal sacrifice. People today still do sacrifice in honor of dead relatives, new buildings, and other ceremonial reasons. Some medicine also comes from llama fetus. It is a bit of a shock (and a little gross). 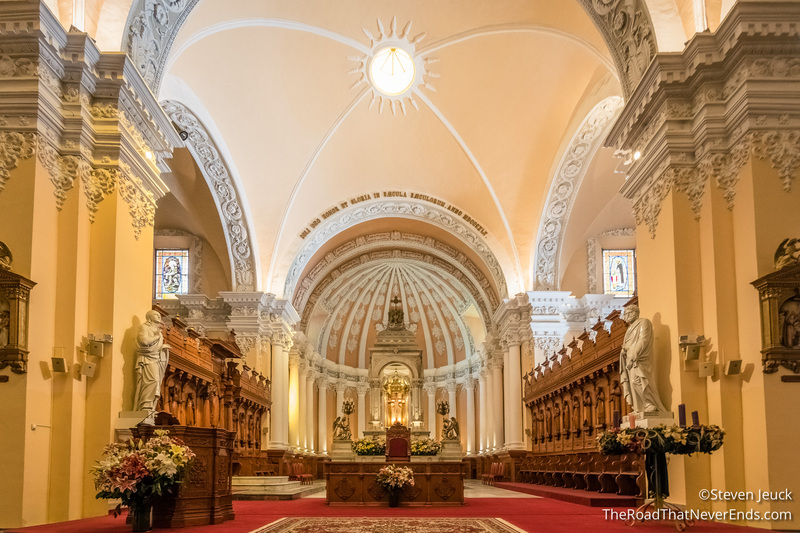 Iglesia de la Compania de Jesus – Our tour group went into this church and it was breathtaking. 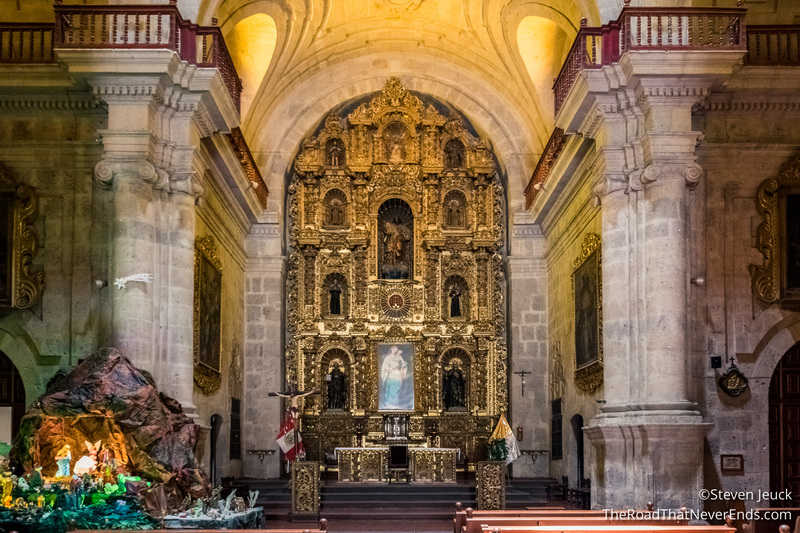 Similar to the church in Cusco, this catholic church ties Jesus in with Inca traditions. From the moment you look at the church, you will see carvings of Inca markings: Sun, puma, spider, and snakes. Inside the church is just as spectacular. Carol made sure to point out a painting of the Last Meal, that had South American ties to it – corn, cuy (Guinea pig), and a monkey on Judas back. Carol said there is only two other paintings similar, one of which we saw in Lima as the San Francisco church. Mundo Alpaca – After the tour, and lunch, we made our way to Mundo Alpaca with John & Laura. 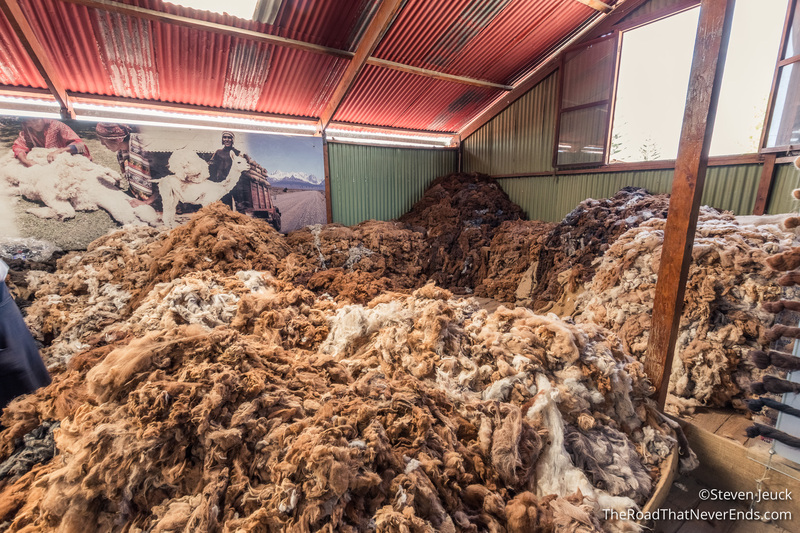 Here, they have a self-guided tour on the process of Llama & Alpaca clothing. 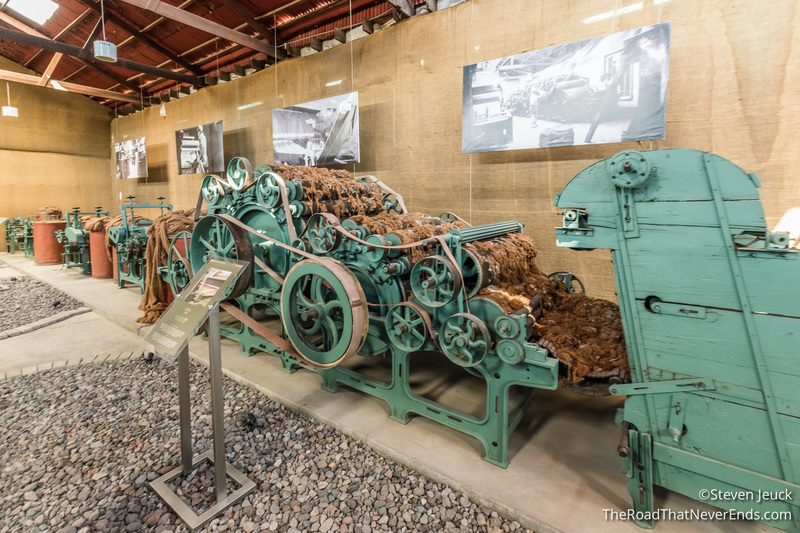 We were told it is a factory, but either we didn’t see it in operation, or the factory part is located elsewhere. We spent about 30 minutes here, and enjoyed the FREE tour! 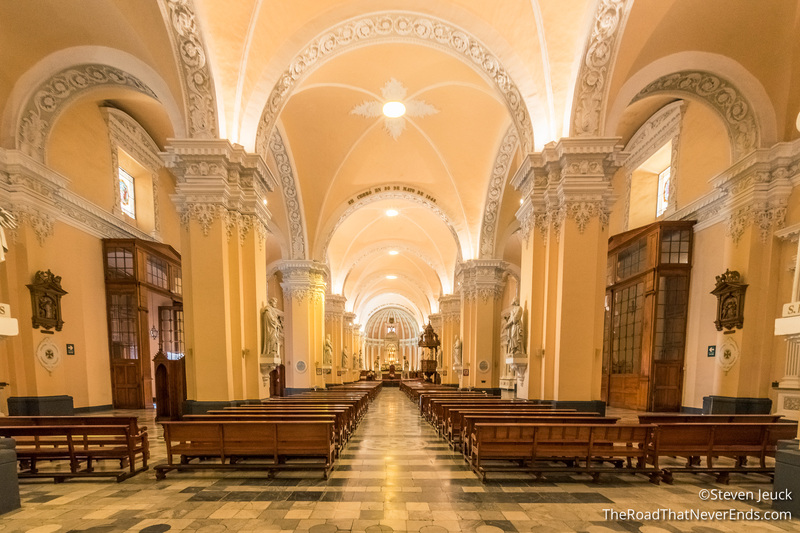 Cathedral of Arequipa – Steve and I took a tour of the cathedral and the bell towers. The tour was S/20 each, plus a S/10 guide fee for a couple. Although reluctant to pay at first, since we thought we had already seen the most beautiful church in town, but we paid and were excited to get an English speaking guide. The church is beautiful. 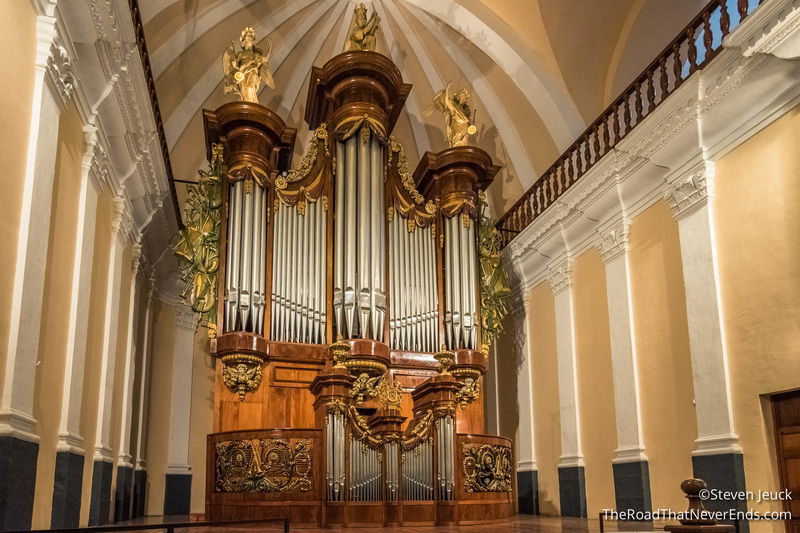 Since its creation in 1656, the church has suffered damage from two major fires, and a few earthquakes (the last one in 2001). The church has had to be rebuilt several times. Inside, we saw the largest organ in Perú, and even heard it played. I couldn’t believe that the entire church smelled of flowers, but it did, because they change the flowers 2-3 times a week. Inside the church is a museum filled with gold, silver and bronze pieces from the church’s history. Sadly, we were not allowed to take pictures of anything inside the museum. We spent about 45 minutes here and really enjoyed our guide. In the end, it was worth spending some money. Santa Catalina Monastery is the only thing we really missed. On Tuesdays & Thursdays the church is open till 8, but when we arrived at 6, we found out they had a private party – what a bummer. If you go, please check it out and let us know how it was! So far, in South America, Perú has had the worst driving. There are several places where the honking is relentless and the stop signs are meaningless. Perú is extremely cheap to travel within, with the exception of Machu Picchu and ruin destinations. Machu Picchu is beautiful, and a place you should check out, but they have a monopoly on it – expect to pay big bucks. I found that everywhere I went, bringing toilet paper with me was always a great idea. Some toilets didn’t have TP. Similar to Ecuador, you are not allowed to flush TP down the bowl. When visiting ruins, or any areas of indigenous people, never take photos without asking, and most of the time they will want money in exchange for their photo. We fell in love with ceviche, pisco sours, and Peruvian food. If fish is your thing, you will too! 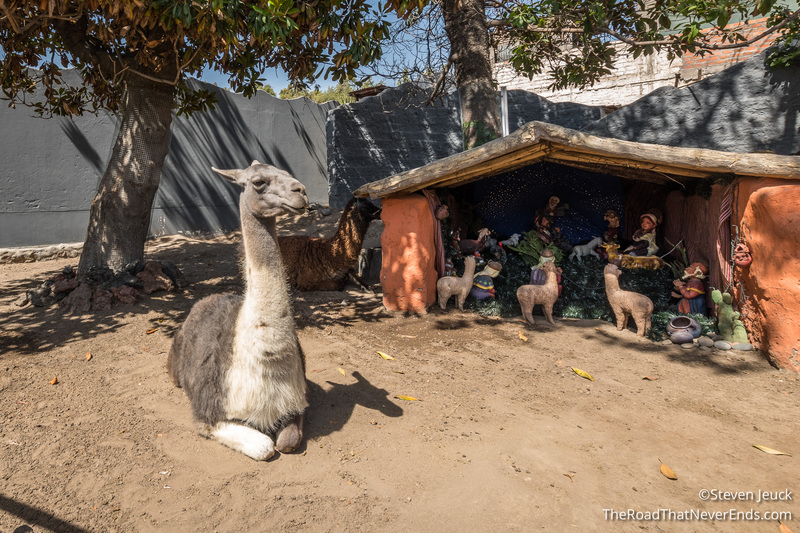 There is still so much to see and do in Perú! It is a dream for adventure seekers, foodies, and historians. If we come back we would love to do some trekking – Rainbow Mountain perhaps, and maybe a trip to the Amazon – both expensive and but well sought after excursions. I loved the pictures. It truly is a beautiful city.